Spirituality has its failings, and Mistlberger knows them all. From people trying to resolve their family issues through others to those who mistake the aggrandizement of ego for the revelation of spirit, Rude Awakenings gives a deft tour of all the stumbling blocks on the road to something resembling enlightenment. This may be the most thorough index ever of why people fail in spiritual pursuits, and how spiritual pursuits can fail people. 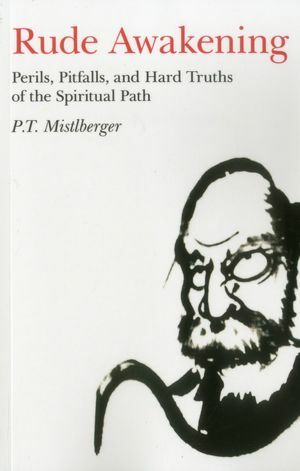 The title of chapter 9 says it all: “Most People don’t really Want Enlightenment – even those Seeking It.” Mistlberger goes on to point out how shortcuts, interpersonal drama, and seeking out healing in the wrong places with the wrong people tear apart groups and retard growth. This is required reading for anyone who wants to go on a spiritual path or who plans to teach one. If you plan on running a circle, prayer group, coven, grove or even a drum jam, read this book. It lists all the pitfalls inherent in a spiritual community so you can avoid most through awareness.